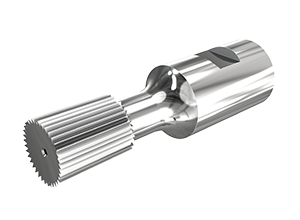 Polygon Solutions offer a wide range of Rosan Rotary Broaches to produce serrations for the SAE Standard AS1300 Ports (PS10035). These Rosan style rotary broaches are available for fast delivery. To request a quote on a Rosan Rotary Broach fill out our online quote form or call us at 239-628-4800. These Internal Rosan Rotary Broaches can be used with our 1/2″ Series GT Rotary Broach Tool Holder.